All regalia worn at University Commencement and/or College Convocations must be approved by the Council on Academic Affairs (CAA) prior to graduation. 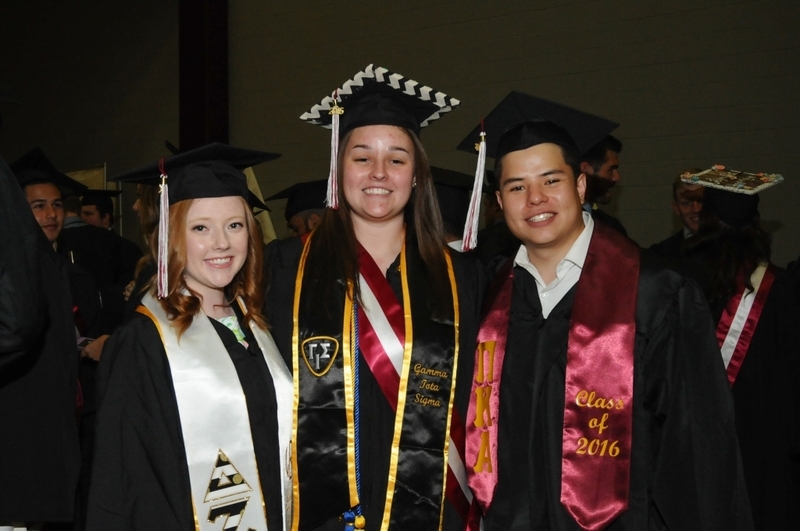 Special regalia worn at Commencement/Convocation is a privilege afforded to those groups who have met a distinctive academic expectation. The groups requesting to wear organization specific regalia (stoles, cords, etc.) must complete the Registered Student Organization/Academic Program Graduation Regalia Request Form. The RSO must submit the completed form to The Office of Student Life. Groups representing an academic program must submit the completed form to the Office of the Dean of their academic college. The offices above then in turn bring the requests to the Council on Academic Affairs for approval. The organizations/programs listed below have been approved to wear organization specific regalia for Fall 2016 and beyond. To learn more about the organizations or programs below, please click on the name of the organization or program.